light pole and illumination layout and analysis. Our civil engineers and transportation analysts produce efficient terminal layouts and yard crane configurations for multiple types of operations including marine container terminals and intermodal rail. 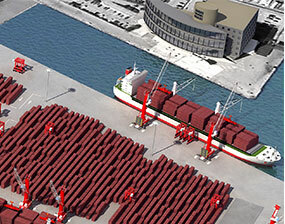 We understand rail operations on container terminals, along with container and general cargo operations. 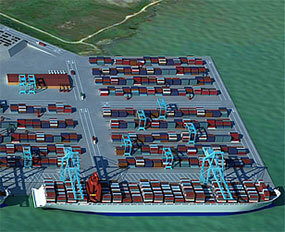 Our industry experts have the broad range of knowledge necessary for container terminal planning. 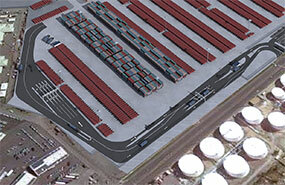 Through our association with TBA Netherlands, we can add visual renderings and simulations for cargo terminal site projects.